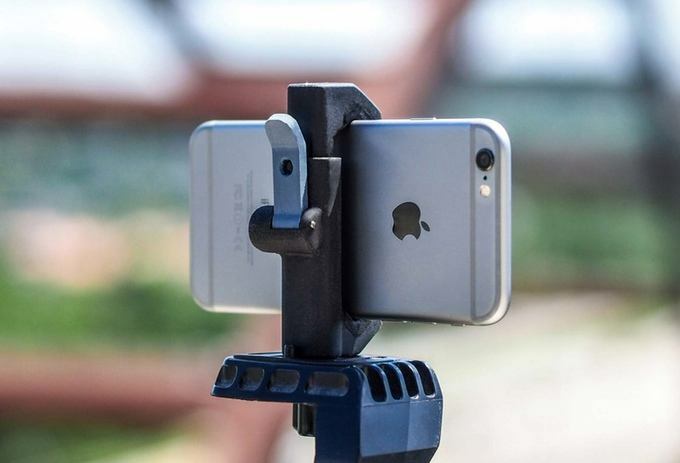 The first Glif, an iPhone tripod mount by Studio Neat, was released in November 2010. Fast forward almost six years to today and Studio Neat is back with an all-new version of the Glif that looks like the best one yet. Having a tripod mount for your iPhone is surprisingly handy. Club MacStories members may recall that just last month, Graham Spencer and I used the Glif for two very different projects. Graham mounted his iPhone to a Glif to take time-lapse movies of the Australian sky, while I used my Glif with a GorillaPod tripod and microphone to record interviews with developers at WWDC. Those projects, which we described in detail in the Club MacStories Monthly Log, were very different, yet perfectly suited for the Glif. The latest version of the Glif focuses on three areas. The first is a quick-release lever that makes it easier to get you iPhone in and out of the Glif. 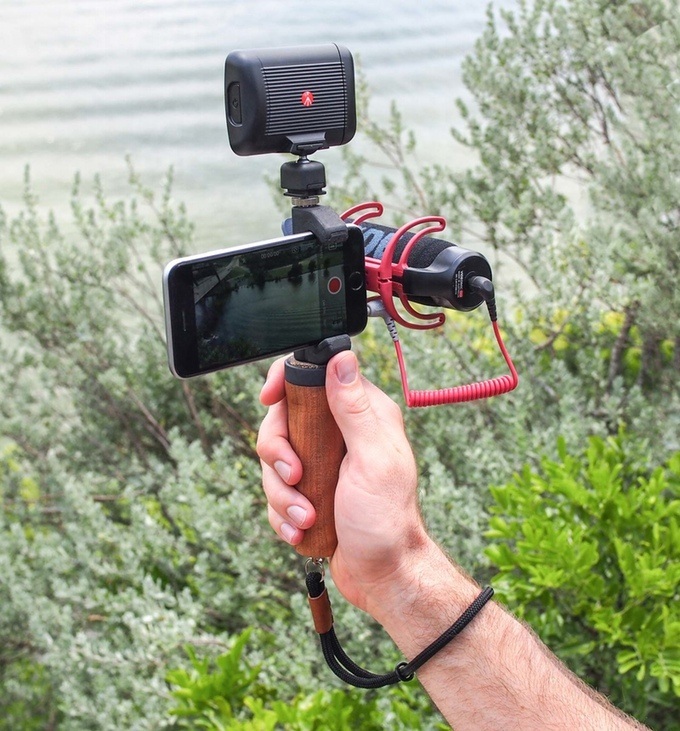 The second is multiple mounting points that let you mount the Glif in landscape or portrait mode, or attach additional items to the Glif like a light and microphone that can turn your iPhone into a portable movie rig. Studio Neat introduces two accessories for the Glif, a handle and a wrist strap. The third improvement to the Glif is the introduction of two accessories. The first is a handle that screws into one of the Glif’s mounting points. The handle should make it easier to hold your iPhone steady without accidentally covering the camera lens with your finger. The second accessory is a strap that you can loop around your wrist for added protection against dropping your iPhone. As with previous Studio Neat products, the new Glif is a Kickstarter campaign. Over time, I’ve become more cautious about the Kickstarters I back, especially when it comes to hardware products, but Studio Neat is one of the few companies where I do not hesitate to back a product I want, because it has a solid track record of past success. For a $25 pledge, you will receive the new Glif if the project is funded, while $50 gets you the Glif, handle, and wrist strap. If you want two complete sets of the Glif and its accessories, you can pledge $100.